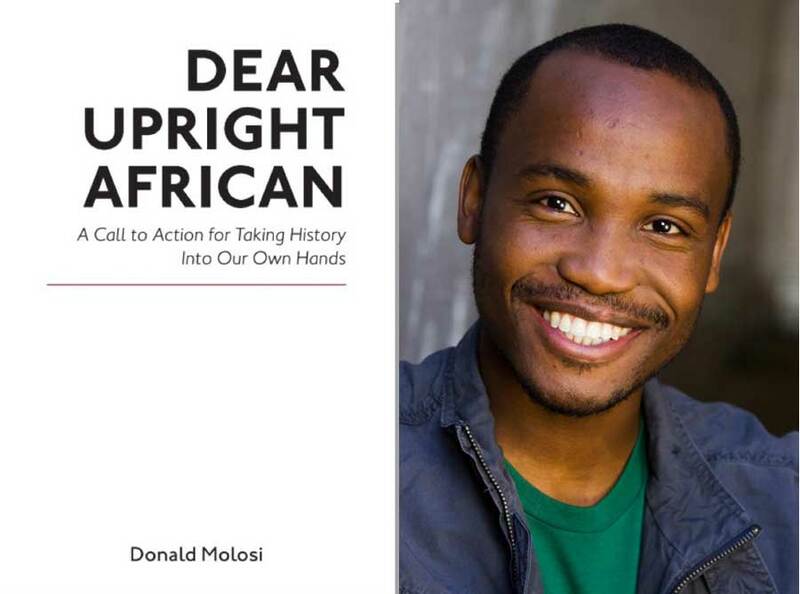 Donald Molosi’s new book Dear Upright African published by The Mantle will be out on February 28, 2019. We first met Donald Molosi in Kampala, Uganda when he was doing a one-man play based on the life of Ugandan superstar singer and AIDS activist Philly Lutaaya. He would reprise his show in Nairobi a few months later at the Storymoja Festival. We would follow the Botswana actor as he featured in several projects the most prominent of which is alongside David Oyelowo in A United Nation. That movie was based on the life of Botswana’s first president Sir Seretse Khama. The Motswana actor then showed that he was more than just an actor as he wrote his first book We Are All Blue (WAAB) in 2016. The book was a collection of the plays: Motswana: Africa, Dream Again and Blue, Black and White and featured the life of Botswana’s first president, Sir Seretse Khama and his interracial, transformative marriage. Molosi’s newest book Dear Upright African should be ready for your reading pleasure from February 28, 2019. The book endorsed by Tsitsi Dangarembga and Binyavanga Wainaina is a manifesto showing us what a decolonized Africa would look like. Here is a sample from the new title. Upright African, we need a revolution in education to take our history back into our hands, and to perform it through our eyes for humanity and ourselves. Without question, our African histories are under siege by those who would rather we believed that Africa has no history and that colonialism is over. For those who might want to buy, it can be purchased from the following options. Next Next post: Kevin Mwachiro’s “Nipe Story” Podcast is one year old.